Team Ghost is a French electronic music group created by Nicolas Fromageau, co-founder of M83, which he left in 2004.In Paris with the help of Jean-Philippe Talaga (who is the band A&R today) and bandmate Christophe Guérin, Nicolas Fromageau founded Team Ghost in 2007. the band released their first EP in April 2010 First act to be coined as “cold gaze” by the NME (for their mixture of Cold Wave an Shoegaze), Team Ghost released the EP You Never Did Anything Wrong to Me in 2010 through the English label Sonic Cathedral. In fall 2010 follows the EP Celebrate What You Can't See produced by Villeneuve. This collaboration resulted in a symbiotic friendship and deep musical understanding leading Benoît de Villeneuve to join the band as composer together with bassist Pierre Blanc and drummer Félix Delacroix. After a series of concerts given in Paris, the group was the opening act of the European tour for the Canadians Crystal Castles. Team Ghost has also played at several festivals in the United Kingdom during the summer of 2010 such as the Offset Fetival of London and the festival Rockness in Scotland. In October 2010, the group released a second EP entitled Celebrate What You Can’t See. In October 2010, they again provided the opening act on the UK tour of Crystal Castles. 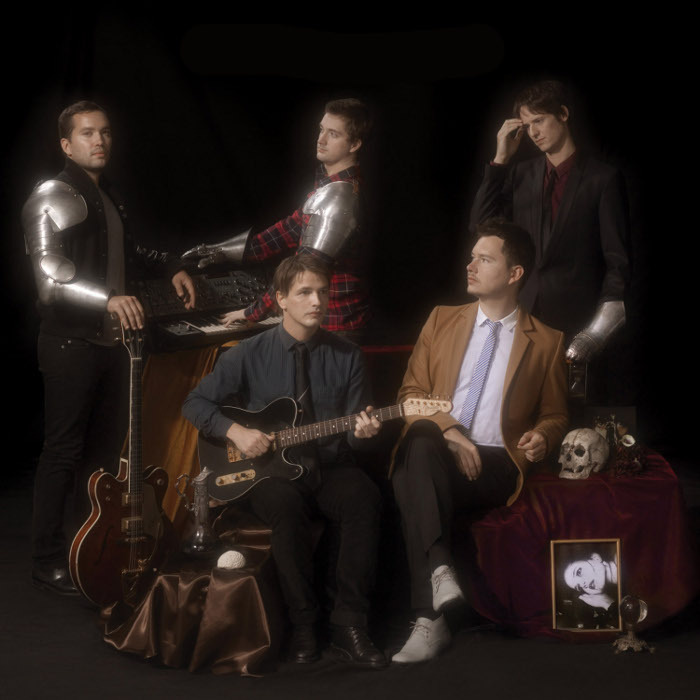 Team Ghost released their first album Rituals on March 2013 and the first single is called Dead Film Star. They went on tour in April 2013 in Europe  and in New York on June.